Good lustre to the skin should be almost a mirror finish. 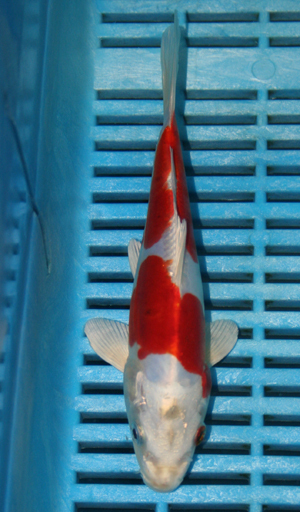 Although hi on the pectoral fins is frowned upon within the kohaku appreciation, it is acceptable for a kikusui to display red fin joints (motoaka). There should be no spots or stains on the pattern. 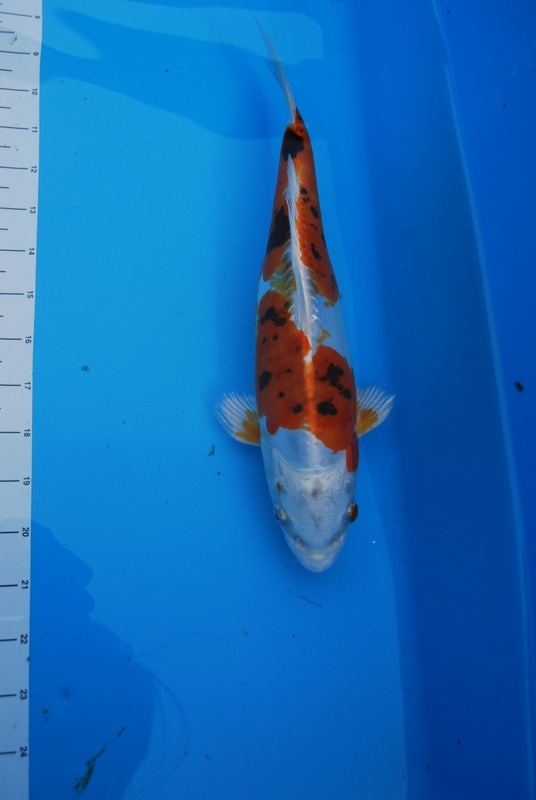 Things to watch for - black stains around the nose and pectoral fins can be a common problem. 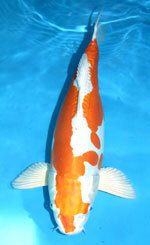 Also suffers from common defects of the metallics such as stumpy body and out of proportion fins. This again is a fish i am starting to like the more i see them! 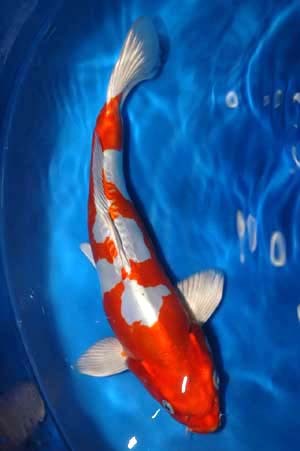 I nearly was tempted a Easter to buy one for my pond! This is the one I bought from Gary's about 2 years ago. Thats very nice G! I never noticed it when we came to see your pond though?